Marty Ramirez from Randy Kassebaum on Vimeo. 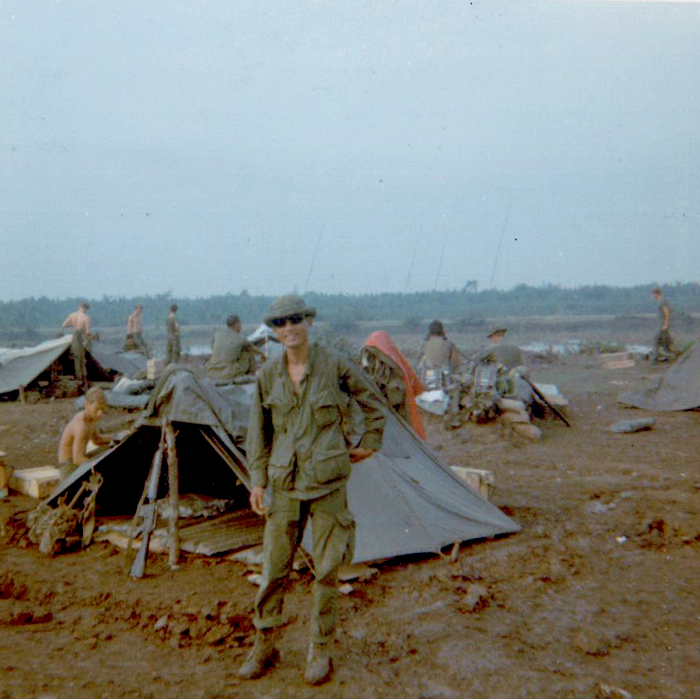 I served in Vietnam from March, 1968 to March 1969. I was 22 years old. I served in the U.S. Army. I graduated from Chadron State College in August, 1967. 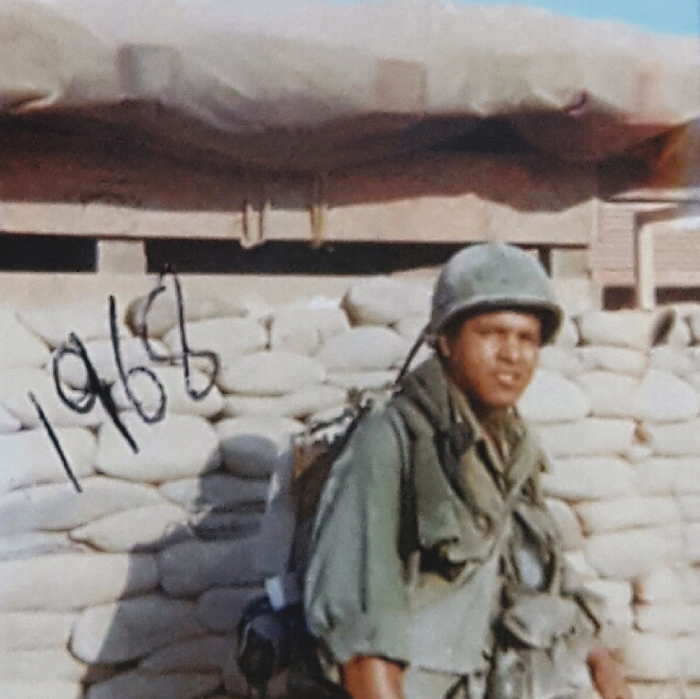 Drafted in September, 1967. And I got married in December, 1967. I had to make some major decisions in a short time. 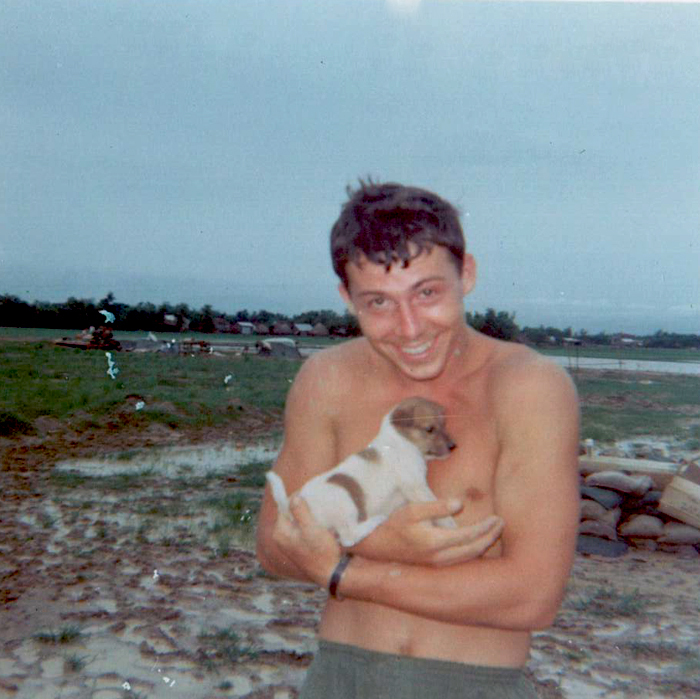 When I was drafted I had a pretty good idea that I would be sent to Vietnam. 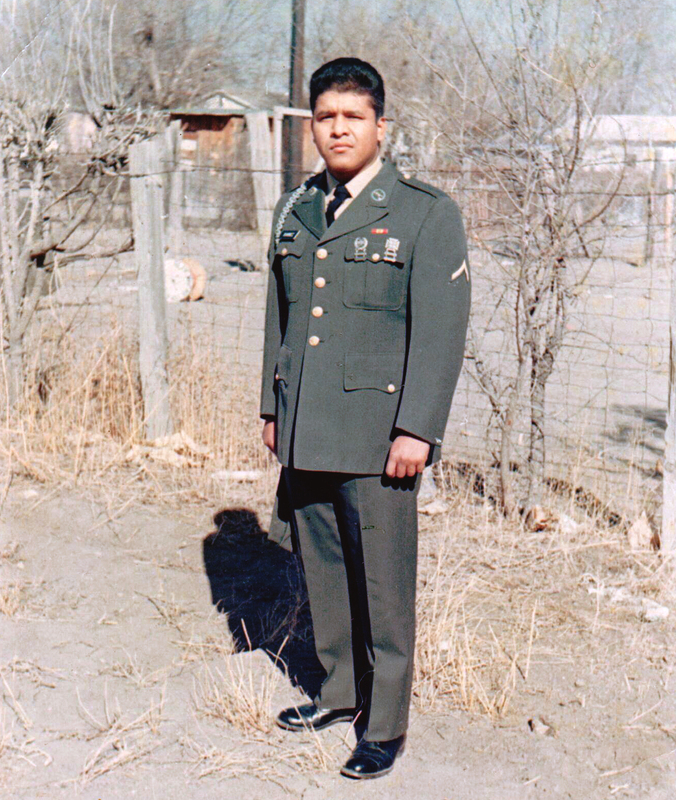 I was sent to basic training at Ft. Bliss in El Paso, Texas (9 weeks). I had never been to Texas before and immediately felt the “Mexican presence”. I told my mom that there were “Mexicans everywhere”. At the time, I didn’t know that El Paso was 99.9% Mexican. It takes 10 military soldiers to support one infantry fighting soldier. After basic training one receives their orders or their next training assignment (9 weeks of advanced training) everyone was nervous and excited about their next training assignment. You have to understand that there really was a “John Wayne mentality of go kill the enemy” just like in the movies. I remember it was a Sunday and the assignments were posted (just like grades) and everyone walked over to see their name and assignment. I just lay on my bunk and was in no hurry to see my assignment. As soldiers came back, many were hanging their head down in disappointment because they did not get “advanced infantry raining (11B). I eventually went to see my name and (11B), which meant I was going to Fort Polk, Louisiana for advanced infantry training. I came back with my head down and the soldiers felt that I like them was being assigned elsewhere. They became angry at me because I got what they wanted (11B). I was told that I wouldn’t be going home for leave; rather I immediately was headed to Louisiana. 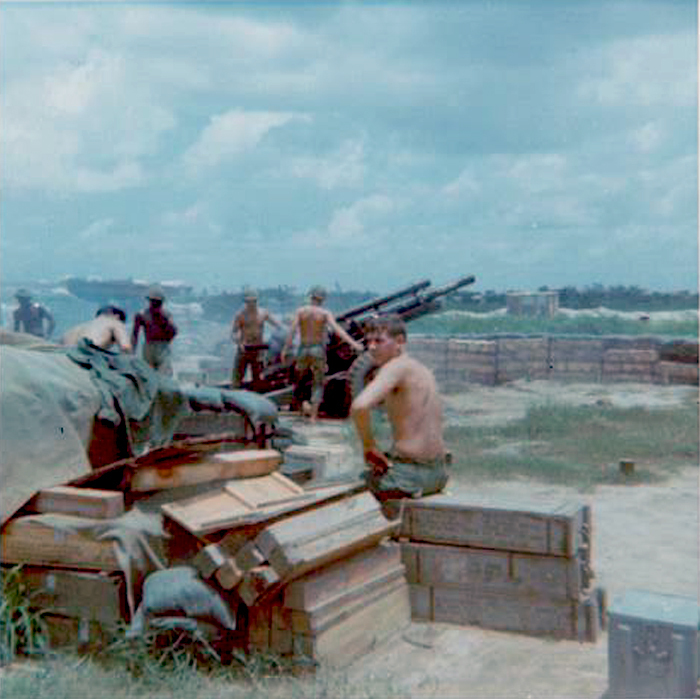 Interestingly, in Louisiana I was raining to be an infantryman, but was classified as an 11-H which meant that I received additional training to fire a 106 cannon on top of a jeep. While in training we were led to believe that there was a strong possibility that as an 11H soldier, we were going to be Military Policemen (MP). 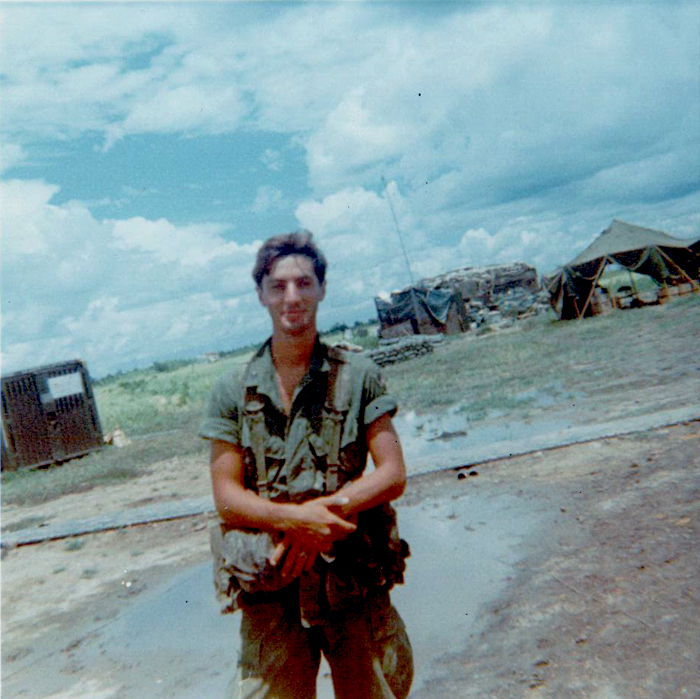 Thinking I was going to be MP was a blessing in disguise as I never thought or realized that I would be fighting in Vietnam. It was at this time that I asked Connie to marry me. I wrote a letter to Connie’s dad asking permission, but he never answered. I think he told Connie that it was ok. Connie claims that I sent her to ask my dad for permission when in fact, I sent her to inform my parents (see what age and memory and war does). 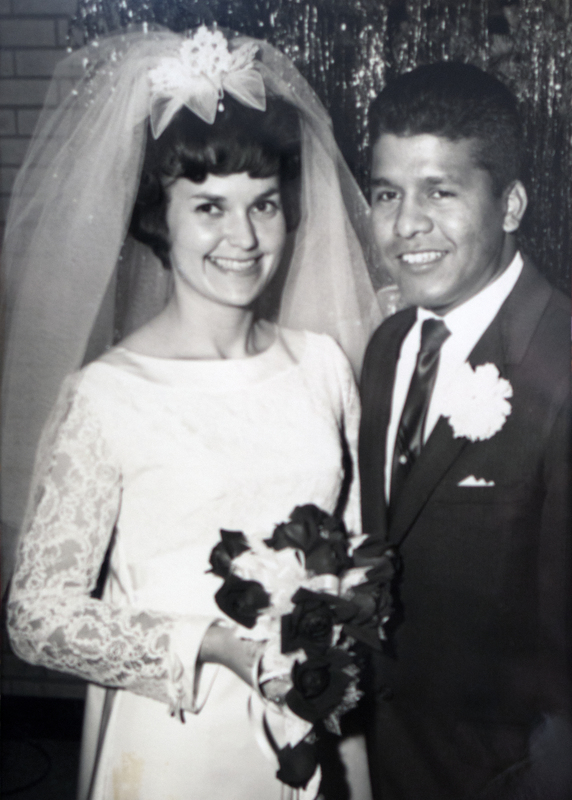 We got married in Gering, Nebraska on December 26, 1967. Interestingly, no one told us not to get married because I was going to Vietnam. You have to understand that during that time we only had the CBS news for only a 1/2 hour a day. I recall listening to broadcasts but not connecting the dots in terms of “I really should be concerned”. I don’t recall hearing too much on the radio. 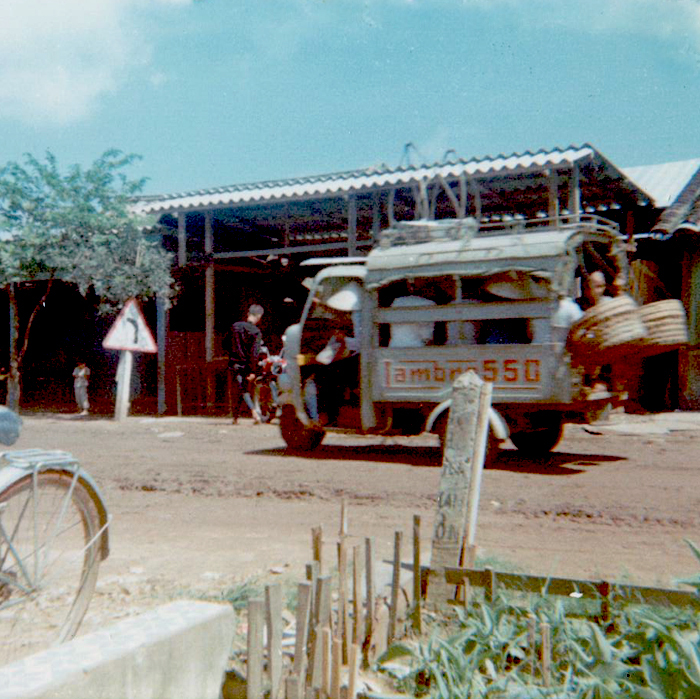 Going to Vietnam was never a point of discussion with Connie or within the family or community. 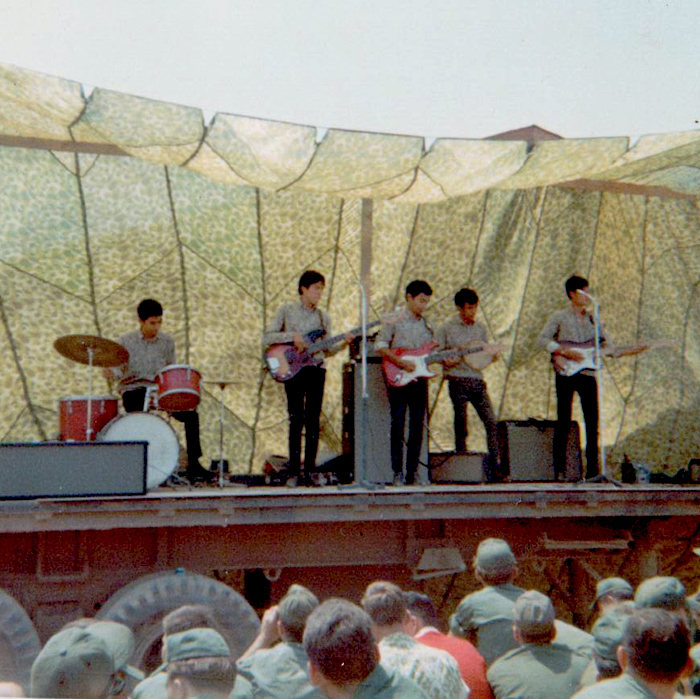 Years later I learned that other Mexican kids from Scottsbluff had gone to Vietnam. I also learned that 65% of the Mexican males in my High School class (1963) were drafted (by a white local draft board), who were going to make sure that the “Mexicans and poor whites were going first”. So, when I graduated from college, I as a “Mexican first” and college graduate second. The white college graduates were now going to exercise their “White privilege”, (fathers being on the draft board, knowing abut graduate school and having the financial means to attend). I as a Mexican college graduate did not have this privilege. You have to understand that my father and brothers had served in the military (John and Merced in the Air Force, Isabel in the Army reserve and my father in the Mexican Revolution (1910). 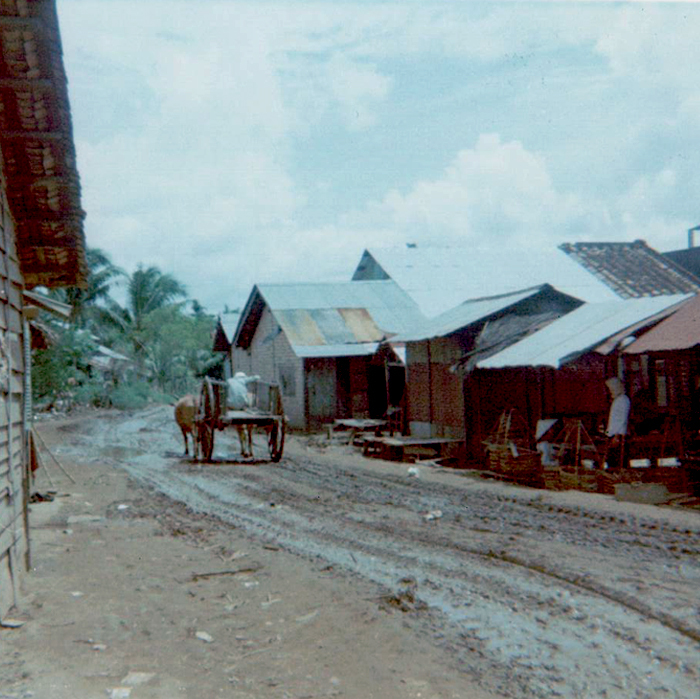 In the barrio, there was a feeling that if and when you were called to serve, “you went”, without any hesitation. In terms of how the community felt about the war, I really don’t know. I had no clue about Vietnam. I remember at Chadron when reading Newsweek and Time magazine, Vietnam was just a small article in the back of the magazine. When I was a senior, it was now on the front page. I also recall talking to friends about Vietnam and jokingly stating that there was no way we would go to Vietnam because “we were going to be college graduates”. Growing up in the fifties with a “John Wayne mentality” (stemming from WWII and Korea), you go when called and defend your country. 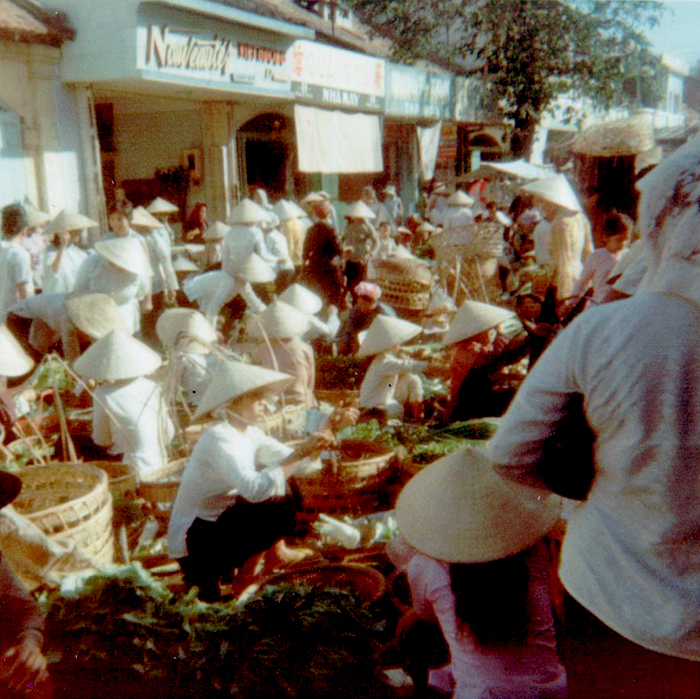 Vietnam was seen as a war against the spread of communism. 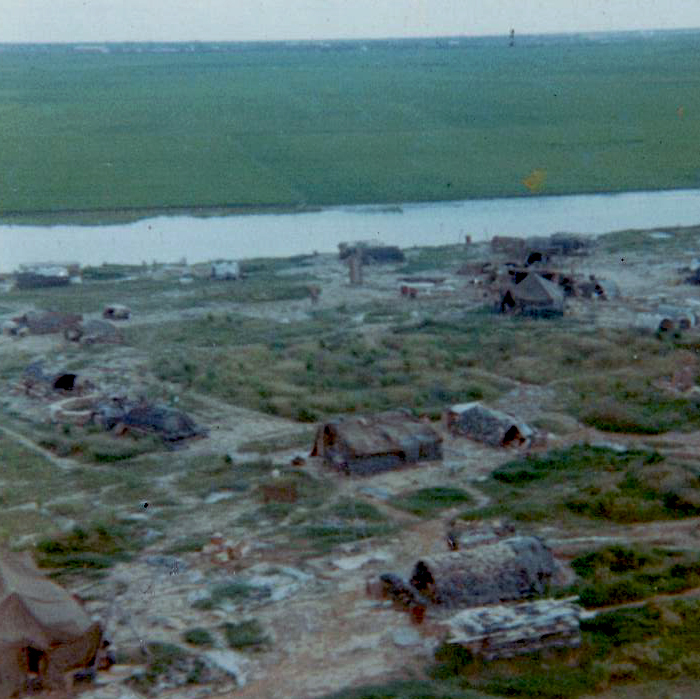 Unlike today, the news media was not as sophisticated as today, so the information about Vietnam was very limited. 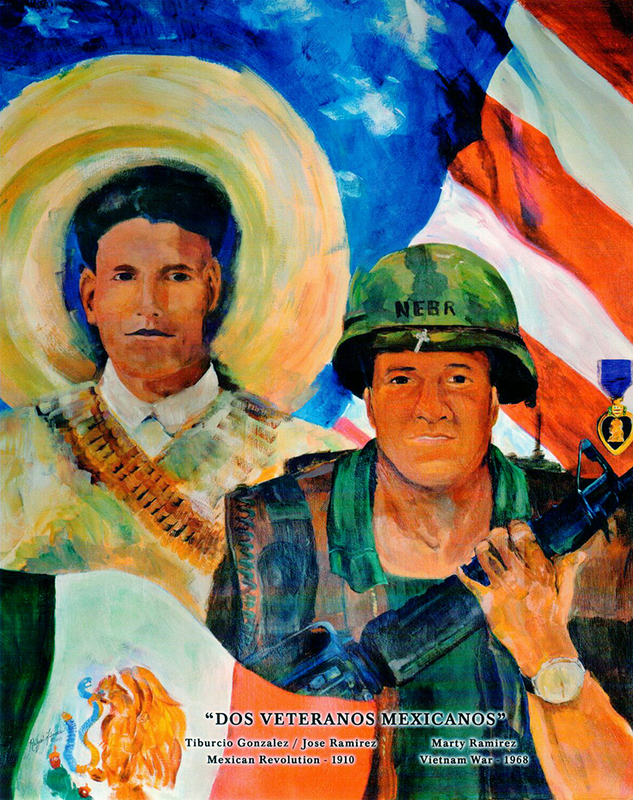 There was also something in our culture about serving and being a proud Mexican Soldier. My father fought in the Mexican Revolution with Pancho Villa. 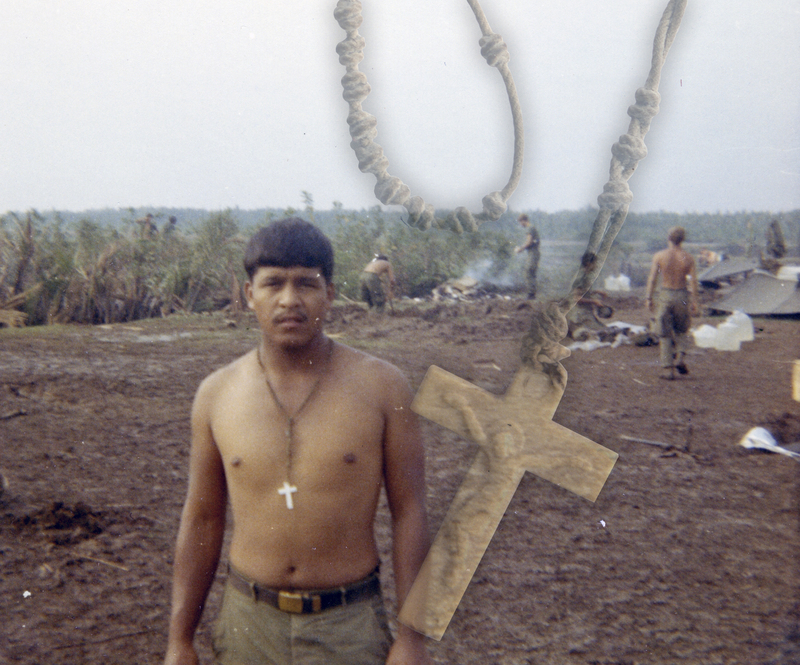 Years later it occurred to me that both my father and I were Mexican veterans who had fought. I have an big oil painting of us in our uniforms. (probably the only one of a kind in the country). 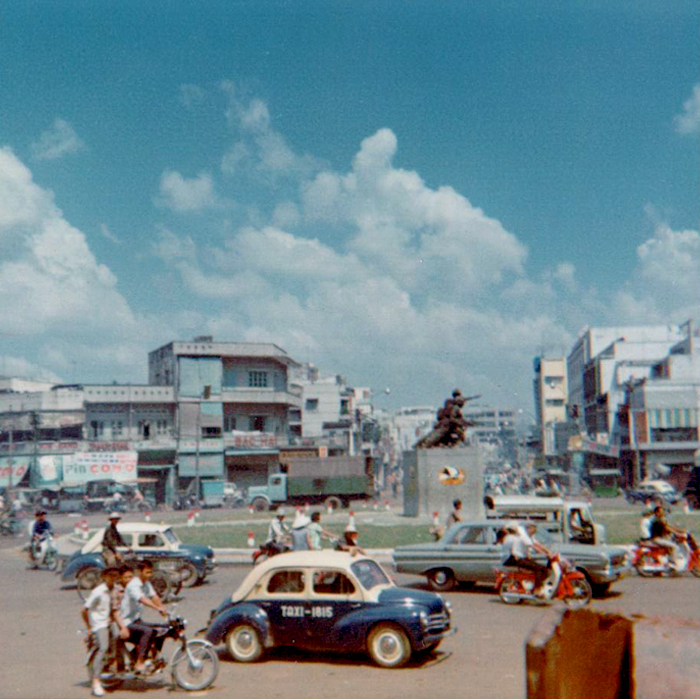 I had no view on American involvement in Vietnam at that time, probably due to living in middle American where issues and information usually passed us by. Years later I was amazed at the amount of protests against the War by Latinos in Texas and California. I was in disbelief as I thought everyone was wanting to serve. I remember seeing a program on TV about Vietnam. I remember telling Connie to “come and look at this”. It was showing soldiers refusing to go out on patrol. This was the mentality of soldiers who came after 1970. 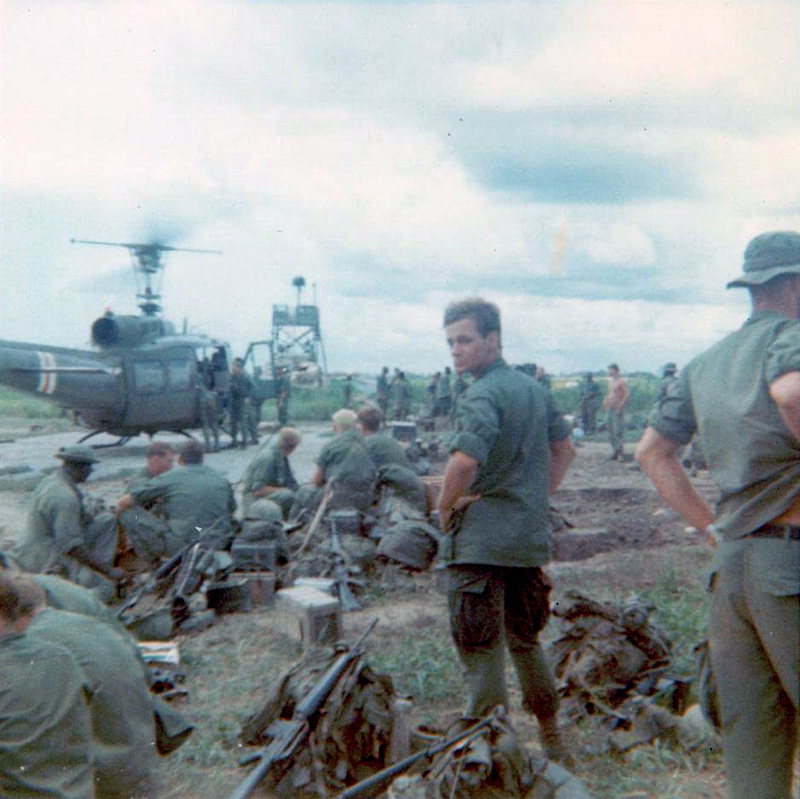 Those before 1970 were 2 kinds of Vietnam soldiers, those serving before 1970 and those post 1970. Those before 1970 were not part of the political “anti-war movement”, so we proudly went to serve, following orders with hopes of going home alive. those who were post 1970, came with an anti-war mentality – not willing to risk their lives, questioning everything about the military, and were interested in smoking dope and doing drugs. So, by the time we came home and over the years all of us were see as Post 1970’s veterans “baby killers, dope heads and bad soldiers. Those of us who were pre-1970 were good soldiers. I have no regrets about going to Vietnam. An average day would involve waking up at 6 a.m. – some of the soldiers (6-8) would be coming back from overnight guard duty. Meanwhile everyone was preparing to go out on a 6-8 hour patrol. (The theme of the war at that time was “to search and destroy” the enemy. 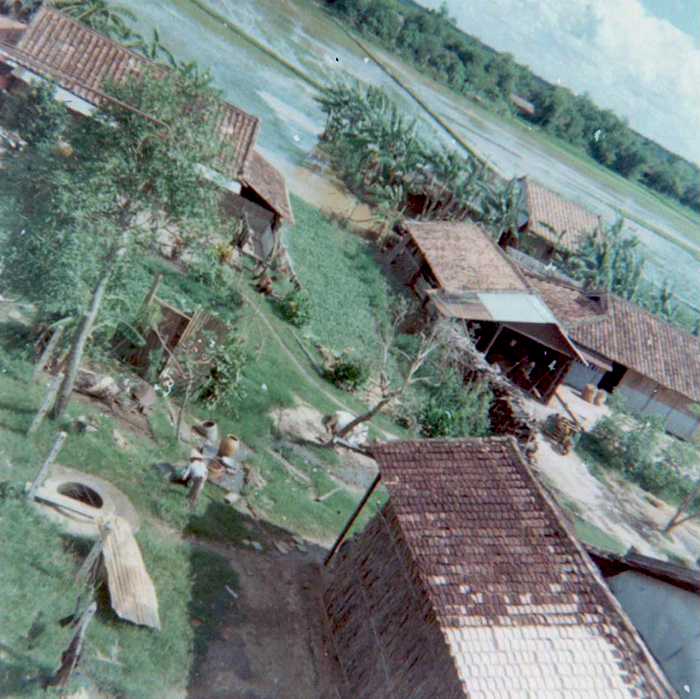 I was a radio man (carrying 70 lbs on my back), walking in jungles, rivers, mud, and hills. As a radio man, I usually was second in line. (In war, the main targets for the enemy are the radio man and the search dog, so my life expectancy was not high. In the evening we would eat our rations, dig our foxholes and be ready for the evening battles (and there were many). So, you can see that there was little time for sleep and rest. 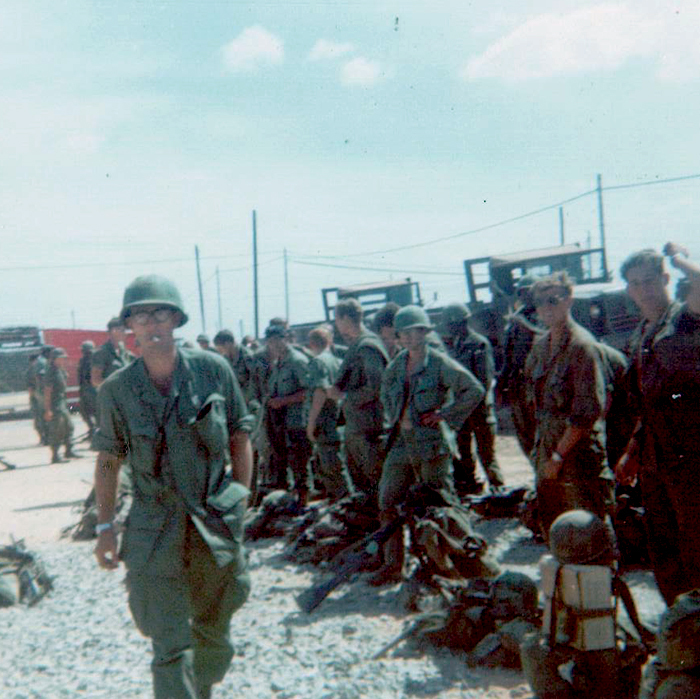 We would be out in the field for 100 days straight and then they would let us come to the main base for a 3-5 day rest. 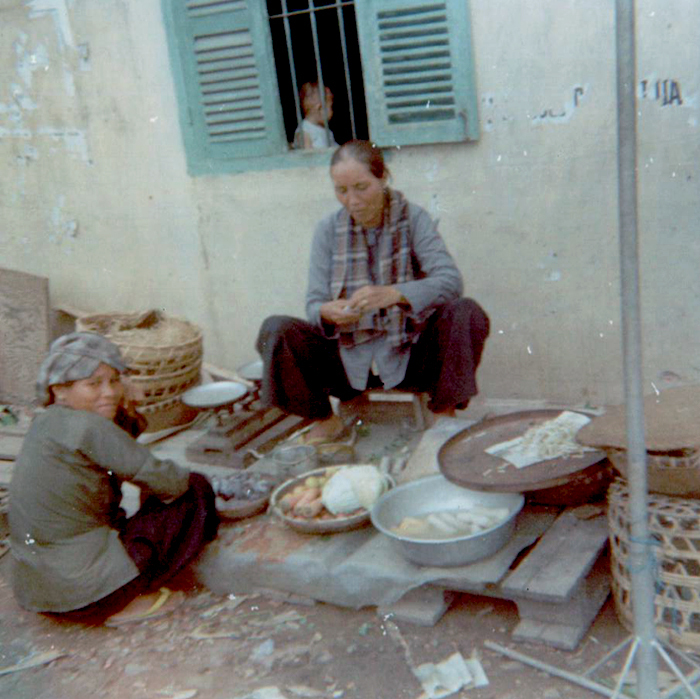 Added to this was living with heat, rain monsoons, big insects, rats, snakes, mosquitoes, leeches, and trying to gain the trust of the Vietnamese people. 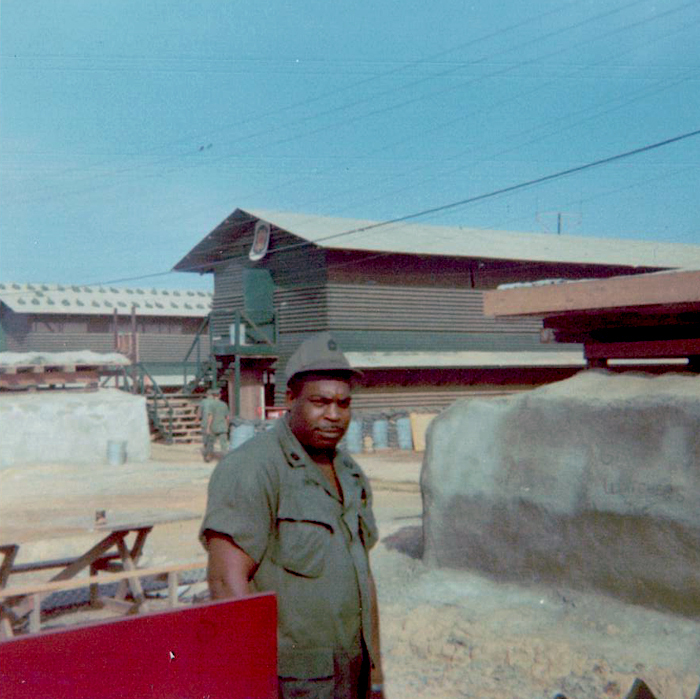 Initially when I arrived in Vietnam, I had a rank of E-4 and when I left I was a E-5 (Sergeant). Still an infantry fighting soldier. The military is part of a ranking system. The rank of Sergeant basically gave one more responsibility and a little pay raise. 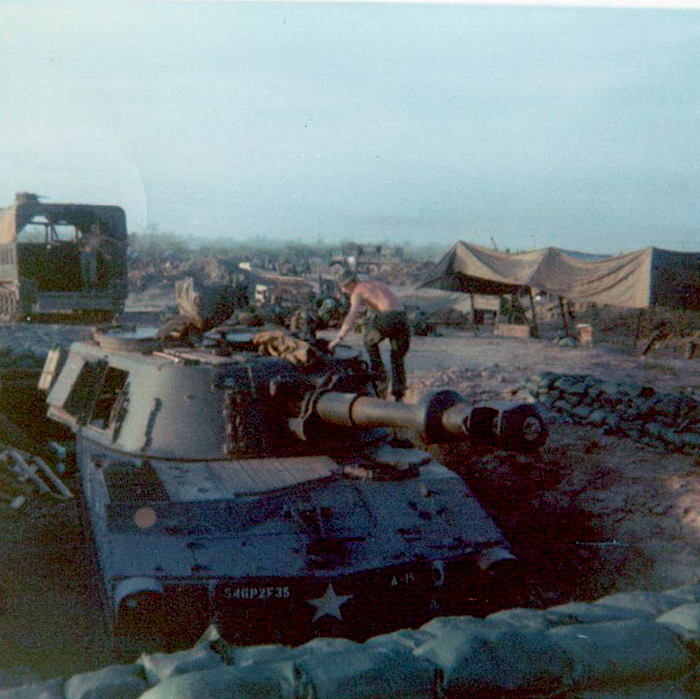 I got to Vietnam during the heaviest fighting time (first Tet Offensive). They were killing 500 soldiers a week. I remember writing home stating that I don’t think I would be coming home. I almost got killed 9 times, the first time within the first 2 weeks that I was there. When I first arrived they were allowing soldiers to leave the field when they had 30 days left as one was beginning to wonder if they were going “make it”. 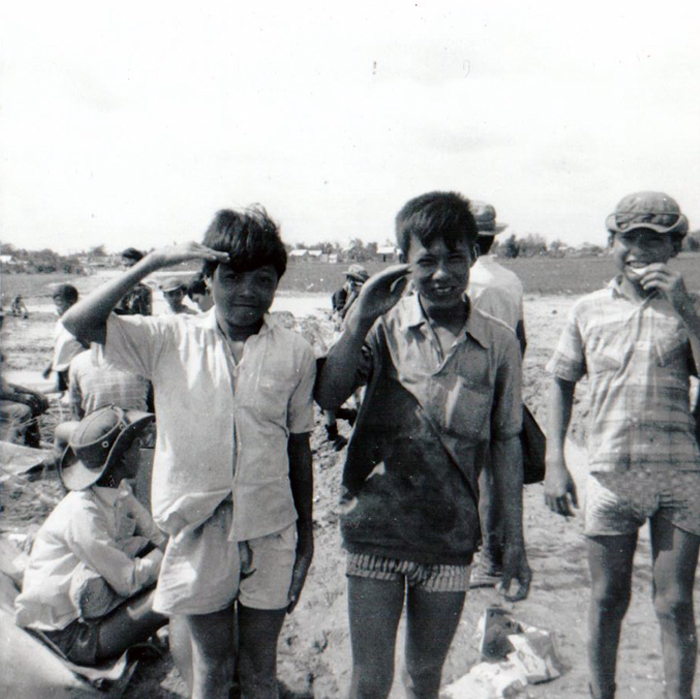 Because we were preparing for the 2nd Tet Offensive (January, 1969), there were keeping us out in the field until we had 3 days left. 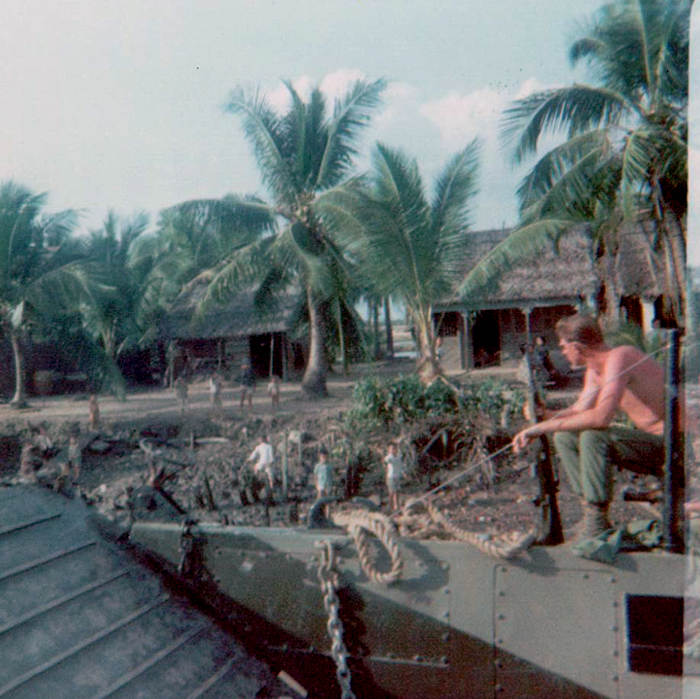 I had 12 days left when we got attacked with rockets, motor rounds and grenade launchers at night. We were under a bridge with ammunition and I thought that if we got attacked, it truly was “all over”. I was asleep (but you never really sleep soundly). I began to hear some rockets in the distance and I immediately jumped up trying to put my boots on and reaching for my rifle as I knew I had to get to the top of the bridge because of the ammunition nearby. I recall being near the top of the bridge when I got hit and found myself falling about 50 feet and yelling for a medic (I remember it being pitch dark). I think I probably got hit by a rocket or motar round. When I went to a re-union of my army unit in Washington about 15 years ago, I ran into the medic who was the one who gave me aid the night I got wounded. It was like Paul Harvey and “the rest of the story”, so tell me what happened that night”. Also at the re-union, it was shared to me that when a new recruit came to the field, it was told them that “you need to stay close to Marty and Mike Wurdeman as they do not get killed” (this was probably based on the fact that I almost got killed 9 times). At that time I really did not pay attention to the politics of the war, so I didn’t pay any attention to the details of Nixon ending the war. I do remember reacting to the release of the prisoners of war and the red carpet treatment they received when they got off of the plane. This was probably due to how we as Vietnam veterans were treated when we came home (no fanfare or parades, or a thank you). I truly believe that 3 things got me back from Vietnam. 1-A profound belief in God, 2-The fact that I was 22 years of age, and 3-being a survivor and growing up in the barrio. When I came back from Vietnam, I had a choice as to where I wanted to go to finish out my last 6 months. Aunt Susie and Louis were stationed at Ft. Andrews in New york. I thought that it would be an adventure to go the east coast. 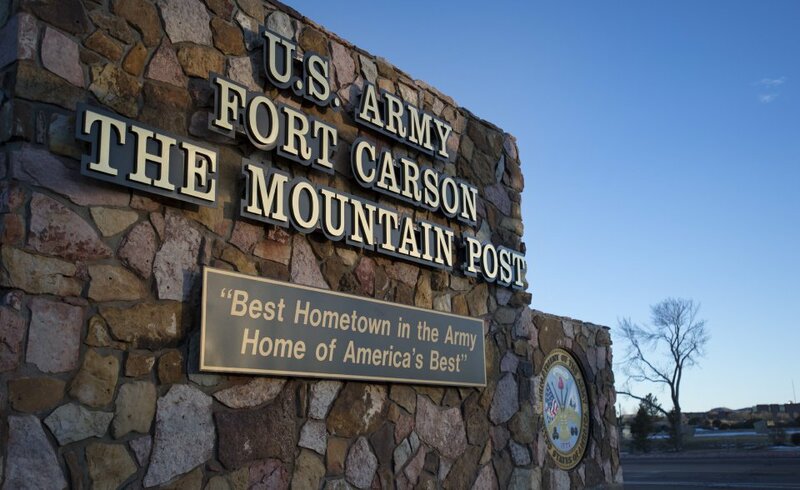 But, I chose Ft. Carson, Colorado to be closer to home. I would go visit Catherine and Jane on weekends in Denver. Connie was living in Gering and I believe was in Wolbach during the summer. The plan for us was to move to Omaha and attend Graduate School. 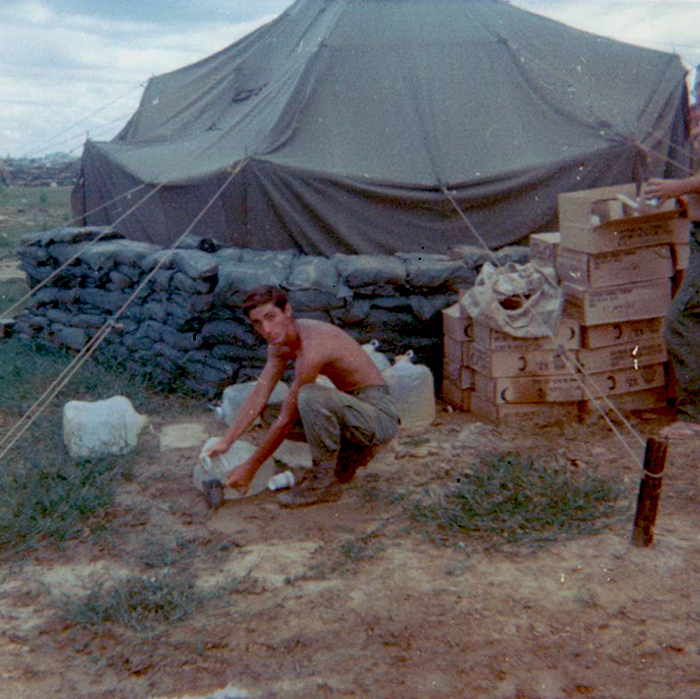 Ft. Carson was a travesty as many returing Vietnam veterans were getting into serious trouble. We were now members of a unit that included regular Army soldiers and National Guard soldiers. We became very angry that e “had to play war games”. Because, it was the sixties, there were many violent race incidents on the Army base. 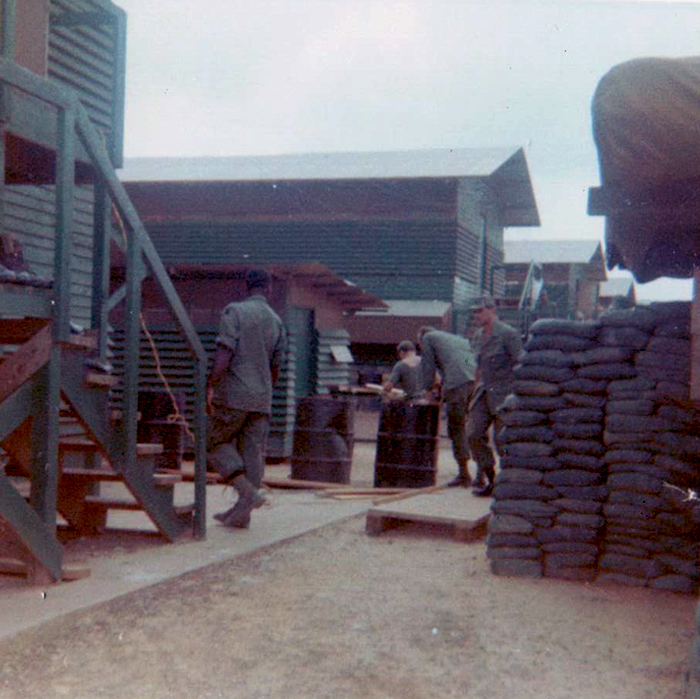 As a result, many Vietnam soldiers were now being court-martialed and given a dis-honorable discharge. I remember almost getting written up 2 weeks before I was discharged. I always wanted to go back to Scottsbluff and help the Mexican community. In 1973, I got the chance and took Nina and Richelle as a had a job as a counselor working for the SER program (a federal program aimed at helping the Mexican community). Connie was to join us later as she was teaching in Omaha. 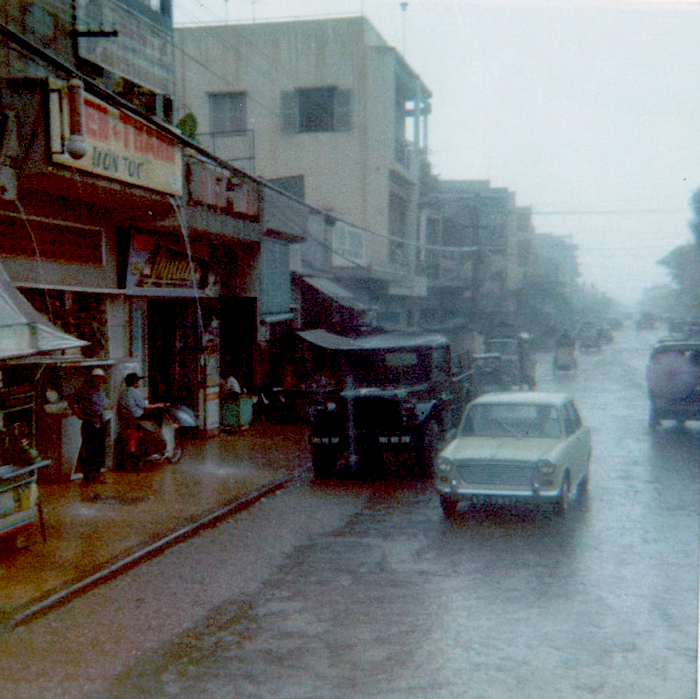 One day, I was outside of Grandma’s house and took note that nothing had changed in the barrio. I said to myself, “you mean that you send us (Mexicans) to go fight for freedom and democracy and this is how you treat us. I became very angry and began to put my efforts in the Chicano movement. It took a few of us (Chicano activists) to go to a City Council meeting and start demanding some justice. As a result, we got paving for our streets, street lights were installed and “cable TV”. This was my beginning as a Chicano activist in the Chicano movement. I have been blessed to not have suffered the affects of Post Traumatic Stress Syndrome (PTSD like other soldiers. If I had to do it over, I still would go. 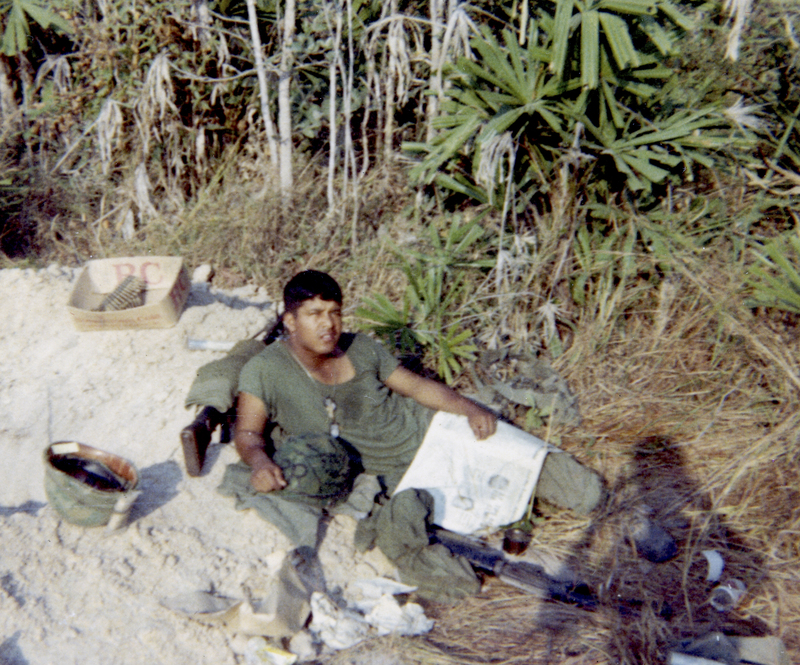 Reflecting on my experiences as an Army grunt during the Vietnam War from 1968-69, I understand some of the issues raised by Richard Esquivel’s letter to the editor (LJS, March 23, 2015). There is no doubt that war is hell. I was there when the casualty rate was more than 500 American soldiers a week. Growing up watching John Wayne and Audie Murphy war movies, we ere told a tale that depicted the perils of war and the ideal homecoming of WWII veterans. I, among the many, thought that we might be given the same homecoming. 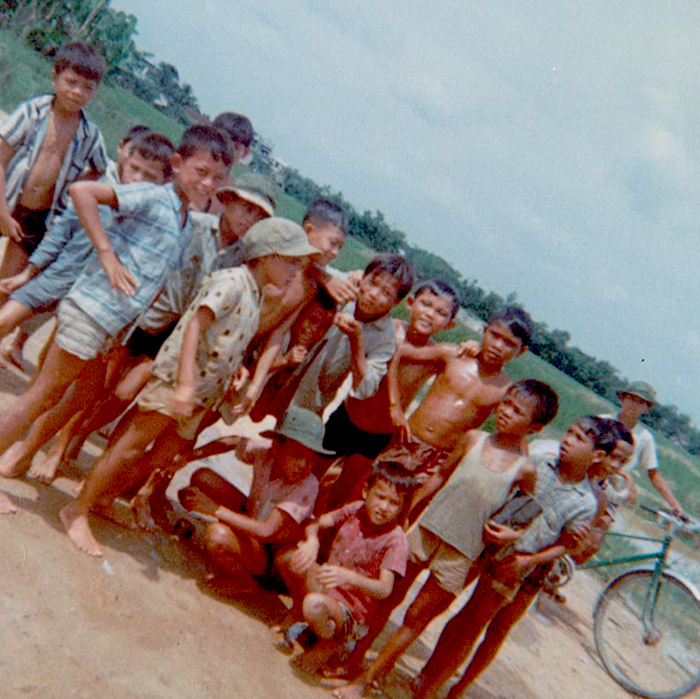 Looking back, there were many “victims” of the Vietnam War including soldiers, innocent members and refugees. There are many “lenses” (political, educational, religious, social, personal and democratic) through which we can view the Vietnam War. We combat veterans definitely have our own lens filled with many thoughts and emotions when we reflect on our experiences, especially when we witness celebrations and commemorations. While I applaud the commemorative events in Lincoln, we must acknowledge that some of the issues that Mr. Esquivel raises have not been addressed. I believe that commemorations and celebrations are bigger than “what did not happen” and “one’s notion of a protest.” Ironically, if there was not a Vietnam War, there would be no refugees! I would like to hear from Vietnam veterans like Mr. Esquivel on what the “ideal homecoming” might look like in 2015, as I don’t have a clue. For whatever reason(s), our “ideal” homecoming did not happen, and most likely will never materialize. 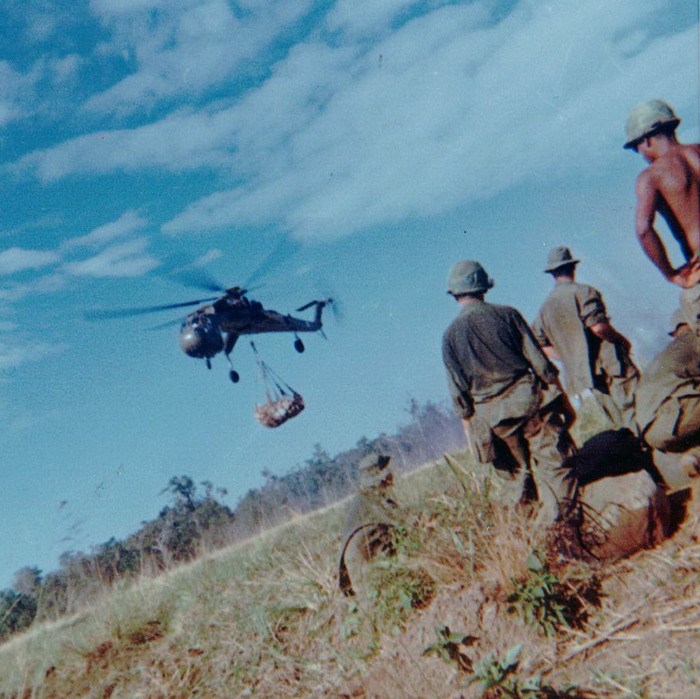 In the movie “Platoon,” Charlie Sheen, when on a helicopter returning home, stated taht, “we need to tell what happend to us in Vietnam.” Over time, manyt Vietnam veterans have not felt the need to share their stories. Mauricio “Marty” Ramirez is a third-generation Nebraskan from Scottsbluff. He is descended from beet workers. An avid baseball player, he played second base on Scottsbluff’s state championship Midgets’ baseball team in 1960. Marty would become the first Latino baseball player for the Chadron State College baseball team in 1964. 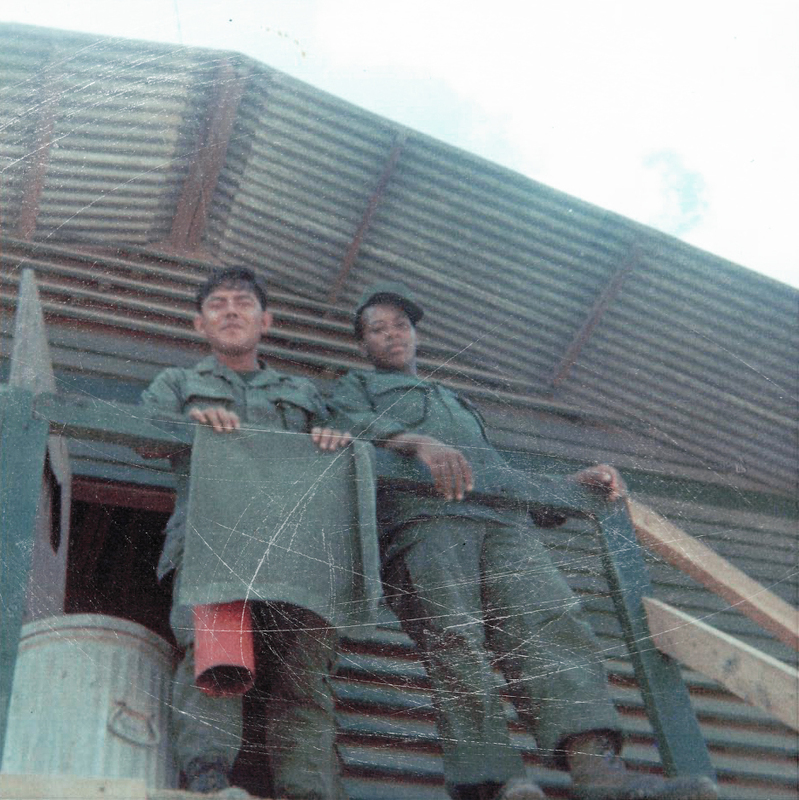 He graduated from Chadron State College with his bachelor’s degree in 1967 and joined the U.S. Army. He served during the Vietnam War and rose to the rank of sergeant when he was wounded in 1969 while helping guard a bridge near Saigon. He was awarded a Purple Heart for his service. After returning to Nebraska, Marty earned his master’s degree and a doctorate from the University of Nebraska-Lincoln (UNL). He first began to work at UNL in 1973 as a mental health counselor at the Department of Minority Affairs. After receiving his Ph.D., he worked with UNL’s Counseling Center and later worked for the Department of Counseling and Psychological Services as a Counseling Psychologist. In this role, he was able to provide a support system and promote changes at the university to better accommodate students of color. During his time at UNL, he founded the Mexican-American Student Association (MASA), a student-organization that serves as a support system for Latino/a students and allows an opportunity for Latinos/as to share their culture, perspective and concerns with campus officials and the student body. MASA continues to be active at UNL to this day. Marty would work at UNL in this role for 38 years, and even though he is now retired, he still continues to advise, mentor and listen to students and community members who know to turn to him when they need help. While working at UNL, Marty has presented numerous workshops both nationally and locally in the areas of mental health, career planning, diversity and cultural competence. By doing so, he has helped change the education and work environment to help students of color. He also served and continues to serve as a voice of the Latino/a community at public meetings and hearings with both the local and state government. He has testified on numerous bills and brought attention to issues with law enforcement and elected officials. His actions and work have not gone unnoticed in the community both in and outside of Nebraska. In 1992, he was presented with Omaha’s “Mexican Independence Day Veterans Award” and was a recipient of Weber State’s “Minority Lectureship Program” in Ogden, Utah. In 1987, he was honored both locally and nationally; first, as the NEBRASKAland Days’ “Hispanic Man of the Year” Award in North Platte and then with the “National Hispanic Man of the Year” Award by the League of United Latin American Citizens’ (LULAC) in Corpus Christi, Texas. In 2000, he was honored with the “Mentor and Allies Award” by Lincoln’s YWCA Chapter. In 2013, he was awarded the “Distinguished Alumni Award” from Chadron State College, and the “Melvin W. Jones Mentoring Award” in Lincoln in recognition for inspiring individuals through mentorships and promoting diversity in community leadership. In 2014, he was appointed by then-Governor Dave Heineman to the Nebraska Sesquicentennial Commission as an advisor for the state’s 150th celebration. Marty joined colleague Dora Olivares as the only Latino/a representatives on the Commission. Together, they worked statewide to ensure that the Latino/Hispanic community was part of the celebration. 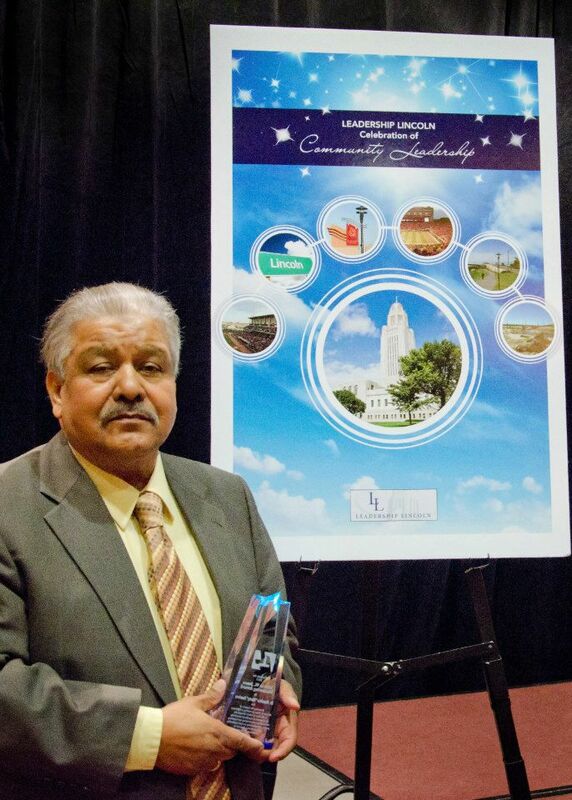 Marty continues to serve as an advocate and supporter of the Latino/Hispanic community and serve as a voice for the elderly, veterans, students and all underrepresented communities in Nebraska. Marty continues to reside in Lincoln with his wife, the former Connie Holm of Gering, children and grandchildren. He is currently working the Nebraska State Historical Society on identifying historic adobe houses in Scottsbluff and meeting with local leaders and issues affecting the Latino/a community.